Can Algae Restore Vision for Tens of Millions? he last post summarized the fascinating research that suggests algae genes may help several million people who suffer from retina diseases such as retinitis pigmentosa and macular degeneration. The key element for resolving retina diseases is gene transfer from light sensitive algae genes. The DNA solution will be limited due to the cost of surgery and gene injections. Another green algae strategy offers hope for sight restoration for hundreds of millions of people – men, women, children and the elderly – without a surgical intervention. Algae can help millions by providing affordable and bioavailable beta-carotene, the pro-vitamin A precursor, locally. Most foods, including food grains such as rice contain no vitamin A. Countries that depend on rice as the predominant food source often experience vitamin A deficiency, which most severely affects small children and pregnant women. Vitamin A plays an important role in other human systems including gene transcription, cardiac function, bone metabolism, haematopoiesis, skin health and antioxidant activity. In pregnant women, vitamin A deficiency disrupts embryonic development, which may result in stunting, mental retardation, or loss of the fetus. Due to its critical role in innate immunity, the body’s first line of defense against invading pathogens, vitamin A, serves as an anti-infective vitamin that reduces human morbidity and mortality. Vitamin A deficiency, (VAD) is the most common cause of blindness in developing countries. Roughly, one in three children under the age of five globally suffers from VAD. The World Health Organization (WHO) estimates 13.8 million children to have some degree of visual loss related to VAD. 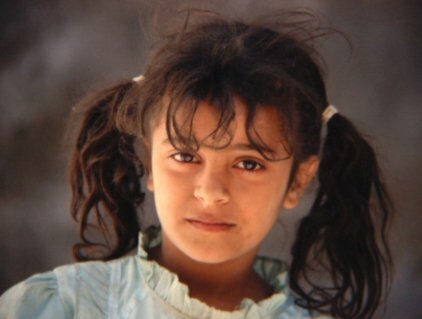 VAD causes millions of children to go blind and claims the lives of 670,000 children under five annually. Many older children, adults and especially the elderly suffer from the devastating effects of VAD. The eye’s retina uses vitamin A in the form of a specific metabolite, the light-absorbing molecule rhodopsin. This molecule plays a critical role in both night vision and cornea health. Children and adults with insufficient vitamin A often develop vision problems that begin with night blindness. Night blindness and its more severe condition, xerophthalmia, are markers of VAD. VAD also leads to impaired immune function, cancer, and birth defects. Lactating mothers who have a diet deficient in vitamin A cannot pass the vital nutrients to their children. VAD deficiency diminishes the body’s ability to fight infections. In countries where children are vitamin A deficient, infectious disease like measles cause high fatality rates. Even mild vitamin A deficiency increases children’s risk of developing respiratory and diarrheal infections, decreases growth rate, slows bone development, and diminishes the survival rate from serious illness. Night blindness occurs when the eyes have trouble adjusting to dim light. People with night blindness are unable to distinguish images in low light but often see normally with adequate light. Night blindness often precedes loss of color vision and eventually, all vision. VAD affects vision by inhibiting the production of rhodopsin, the eye pigment responsible for sensing low light situations. The human body does not synthesize rhodopsin and must get it through diet. The rhodopsin that activates the retina is composed of retinal (an active form of vitamin A) and opsin (a protein). A diet low in vitamin A leads to a rhodopsin deficit in the eye because there is inadequate retinal to bind with opsin. VAD also causes the loss of goblet cells in the conjunctiva, the membrane covering the outer surface of the eye. Goblet cells are responsible for secretion of mucus. Patients suffering from xerophthalmia cannot produce tears. Without tears for cleaning the eye, dead epithelial and microbial cells accumulate on the conjunctiva and form debris that can lead to infection and blindness. Food fortification with vitamin A is costly and not widespread, due to costs and distribution challenges. Food processors, for example, can seldom recover the costs from customers to fortify milk or flour with vitamin A. Countries that fortify foods typically use government policies to gain food processor compliance. Intramuscular injections of vitamin A are too expensive for widespread use. Current methods are ineffective because the injections are poorly absorbed and do not deliver sufficient bio-available vitamin A. 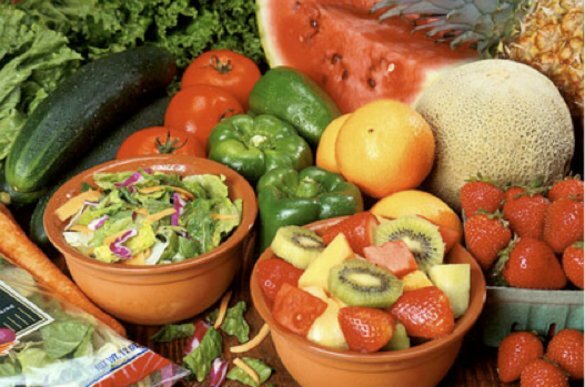 Families may avoid expensive fortified food by altering dietary habits, such as the consumption of yellow-orange fruits and vegetables rich in beta-carotene. Carotenoids such as beta-carotene provide the pro-vitamin A precursors that prevents VAD related blindness. Yellow and orange fruits such as mangoes and orange root vegetables such as carrots and yams are rich in beta-carotene. Unfortunately, in many developing countries, fresh yellow-orange fruits and vegetables are unavailable or unaffordable. The bioconversion of beta-carotene to retinol is highly variable, based on the plant’s food matrix. Foods with complex matrices (fruits and vegetables including spinach and carrots) have poor conversion rates (15:1 to 27:1) compared to foods with simple food matrices. Algae have one of the highest conversion rates for all foods (4.5:1), presumably due to algae’s simple cell structure. Various algal varieties provide ten times the provitamin A carotenoid beta-carotene per pound as modern carrots. Zinc deficiency often accompanies vitamin A deficiency, which amplifies the health and vision problems. A 10-gram, 1-tablespoon algae supplement can provide sufficient daily vitamin A and zinc for adults and children. The Kanembu tribe in Chad has avoided vitamin A deficiency for centuries by using a strategy of adding about 10 grams of locally harvested algae (spirulina) to their meals each day. When we have the capability to deploy abundance microfarms globally, people will be able to grow algae with sufficient vitamin A and other vitamins, minerals, trace-elements, (such as zinc) and antioxidants locally. Microfarmers train algae to produce proteins, oils, carbohydrates, vitamins and other valuable coproducts rapidly. 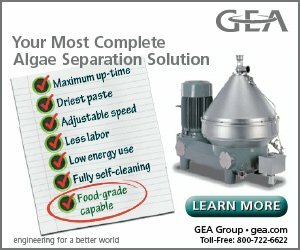 Microfarms grow food, nutrients, feed, fodder, fertilizer, biofuels, nutraceuticals, medicines and advanced compounds in cultivated algae production systems, (CAPS) scaled to any size. A microfarm may serve a family or community and operate in a backyard, rooftop, balcony, vacant lot, barn, barren field or on other non-crop land. Microfarms are geography and weather independent and grow colorful and tasty foods with superior nutritional profiles 30 times faster than modern agriculture. Microfarms are non-pollutive and can regenerate degraded air, water and soil. 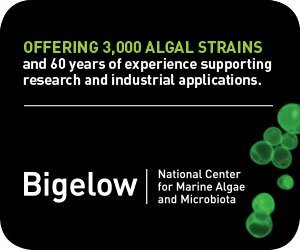 Algae use solar energy efficiently to transform wastewater, surplus CO2 and possibly some additional nutrients into a green biomass rich in lipids, sugars, proteins, carbohydrates and other valuable organic compounds. Algae convert inorganic substances such as carbon, nitrogen, phosphorus, sulfur, iron and trace elements into organic matter such as green, blue-green, red, brown or other color biomass. Freedom microfarms will enable people globally to grow sustainable and affordable food and energy, (SAFE) production locally for their family and community. 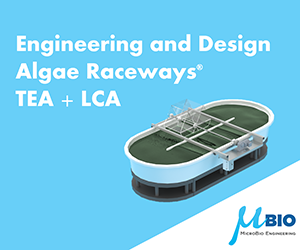 Please join the www.AlgaeCompetition.com initiative designed to share your ideas for microfarm design and operation. Your contributions can make a substantial contribution to the freedom of millions of people from malnutrition, nutritional deficiencies, political control, agricultural pollution and smoke disability or death. Please post your ideas today! From Abundance Microfarms: Our Future Sustainable, Superior Food Grown Locally, under construction for 2011, with Robert Henrikson.